Mr. 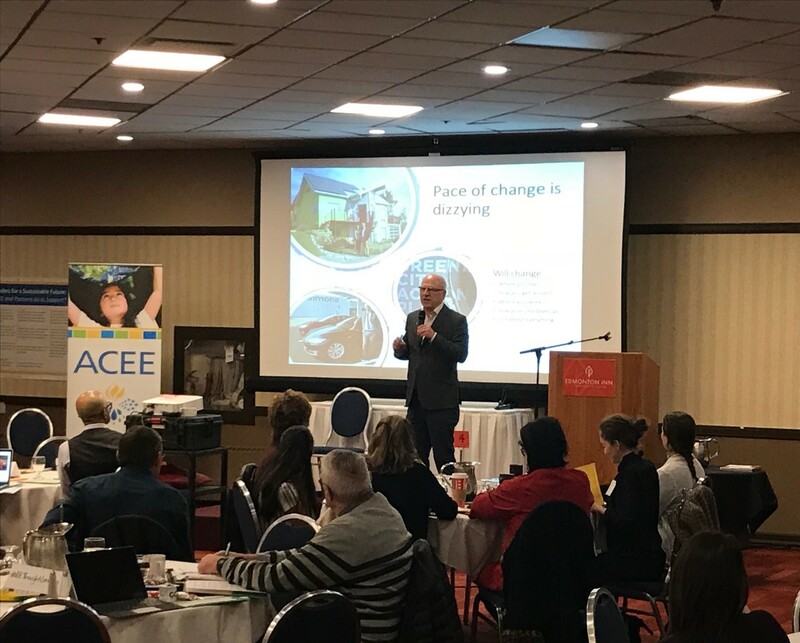 Dodge's presentation was delivered to over 165 Alberta education leaders at a recent Thought Leaders Forum on Environmental and Energy Education and Sustainability. Wind is now the cheapest source of electricity generation in Alberta. Red Deer College generates an astounding 60% of its own electricity. The Government of Alberta’s ‘Solar for Schools’ Program offers $15 Million to help schools install solar panels on their property? Click here to learn more. Energy Efficiency Alberta has helped 84 schools with energy upgrades. The Bull Creek Wind Farm saw 26 school boards collaborate to build their own wind farm, which generates electricity for 500 rural Alberta Schools. What was Laurence Grassi School’s ‘secret weapon’? By 2040, the Organization of the Petroleum Exporting Countries (OPEC), predicts that over 50% of vehicles purchased globally will be electric. What reasons can you give for this projected trend? How did students help Cochrane’s town council with its new renewable energy policy? David Dodge believes ‘this changes everything’ when it comes to having students involved in school energy projects. What does he believe students learn when they get involved? Do you agree or disagree?